LOS ANGELES, Calif. /California Newswire/ — Neotrope(R), a public relations, advertising and marketing firm established in 1983, today announced the recipients of the NonProfit PR Grant Program for 2012. This year's 10 recipients, selected from over 300 applicants, will receive approximately $50,000 total in pro bono services. Originally launched in 2000, the Neotrope PR Grants program has helped raise awareness for worthwhile causes all over the U.S. by providing public relations, news dissemination and online marketing, donated by Neotrope's accredited staff. "We've very happy to again be able to offer this program to charitable causes that are doing good," said Neotrope CEO, Christopher Simmons; a member of PRSA and ASCAP. "This year we have again a very diverse selection of 501(c)3 charities with whom we will be working. We're honored to be able to do our small part in helping raise their awareness to the public, supporters, potential sponsors, and of course the media." Neotrope launched its NonProfit PR Grant Program (www.send2press.com/non-profit) in 2000 and has provided discounted or free services to non-profits for almost 30 years. Neotrope's Send2Press(R) Newswire service provides the news dissemination component of the grants program for getting press releases in front of interested media. Online marketing across the Neotrope News Network will also help reach up to 10 million eyeballs per month via banner advertising, included in this year's grant. Past recipients of the NonProfit PR Grant Program include Children Awaiting Parents, Girls Write Now, Paws of Life Foundation, Special Equestrians, The Bob Moog Foundation, The Starlight Children's Foundation, The Native Voices Foundation, World Savvy, and many others. 1) The Story Project (www.StoryProject.org) uses entertainment-arts curriculum to engage under-served and at-risk middle-school students through digital, media-based projects that educate, empower and inspire. Every production addresses conflict resolution and current issues students face on a daily basis while building literacy, communication, problem solving and teamwork skills that end in a tangible result. TSP works with students at their school over the duration of 12-14 weeks during their regularly scheduled school day for approximately 2 hours once a week to see a project from inception through delivery. We use teachers employed through our organization and professionals from the entertainment community who participate as mentors. Students hear others' stories and learn to find and share their own. 2) The mission of the Pacific Pinball Museum (www.pacificpinball.org) is "To inspire an interest in science, art and history through pinball and to preserve and promote this important part of American culture." We do this by: Maintaining and operating a Museum to display a large quantity of playable machines from all eras of pinball in an educational and entertaining manner. In addition to producing the world's largest Pinball Event, the Pacific Pinball Exposition, we provide classes on the science of pinball, electricity and magnetism, art and history to local schools and visitors. We are a small group of dedicated individuals that are passionate about pinball and our desire to share it with the world. We are becoming the "Smithsonian of Pinball." 3) Camp Blue Skies Foundation (www.campblueskies.org) provides week-long residential camps for adults with developmental disabilities. Camp Blue Skies fills a gap for a population that has few recreational opportunities offered to them once they are out of the school system. The camp experience has a profound impact and life changing effect on not only campers, but caregivers, counselors and volunteers. Camp sessions are currently offered in NC and GA. Over 150 adults with intellectual challenges have been served to date and 180 loyal volunteers have committed their personal time to assist at camp. "Our vision is to continue to develop and improve the programs we offer and broaden the population we serve by offering more sessions throughout the southeast region and hopefully beyond in the future." 4) Move For Hunger (www.moveforhunger.org) is a non-profit organization that works with moving companies across the country to pick up unwanted, unopened food from those who are relocating and deliver it to local food banks across the country. Many people throw out a good deal of "stuff" when they move. Unfortunately, a lot of this "stuff" is food that could be delivered to a family in need rather than thrown away. "That's where we come in: our movers offer to pick up unwanted, non-perishable food items during the moving process and deliver it to local food banks. To date we are working with over 200 moving companies in 37 states. Together we have collected 400,000 lbs. of food for food banks across America." 5) Fresh Start Surgical Gifts (www.freshstart.org) transforms the lives of disadvantaged infants, children, and teens with physical deformities caused by birth defects, accidents, abuse, or disease through the gift of reconstructive surgery and related healthcare services. The Surgery Weekend Program is Fresh Start's largest project of each year, with six weekends of intensive reconstructive surgery as well as frequent dental clinics, laser treatments, and speech therapy services. Fresh Start's Surgery Weekend Program provides access to comprehensive, free healthcare for low-income, uninsured, and underinsured children suffering from physical deformities and other conditions. Throughout the interim between these intensive marathon Surgery Weekends, Fresh Start also hosts speech therapy clinics, dental clinics, and laser treatments to ensure a comprehensive treatment plan for each patient. 6) CITYarts, Inc. (www.cityarts.org) empowers children and youth by bringing them together with professional artists to create public art that addresses civic and social issues, impacts lives, and transforms their communities. Thinking globally and acting locally, CITYarts' projects build bridges of cultural understanding, giving youth the opportunity to take an active role in shaping their own future. Since 1968, CITYarts has created over 284 projects that have transformed communities and impacted over 100,000 kids, collaborated with more than 500 artists, partnered with over 1,500 sponsors, and engaged over 500,000 volunteers in the process. CITYarts' projects frequently foster community revitalization by galvanizing businesses, schools, and community organizations into developing youth programs and constructing playgrounds and gardens. 7) Launched in 2000, WEST: Women Entrepreneurs in Science and Technology (www.westorg.org), provides a forum for women in science, engineering and technology industries to develop their careers and leadership through networking and information sharing. Uniquely tied to this highly educated, influential community, the WEST leadership has long provided a supportive environment for early, mid and senior career women in these vital sectors, allowing them an exceptional opportunity to acquire the skills necessary to become business leaders in their fields. "Our goal is to improve the leadership status of women in science, engineering and technology by inspiring them to achieve success in their organizations and create a positive impact in their communities." WEST offers a rich and thriving community that provides support, guidance, and professional development for professionals in science, engineering and technology. 8) Cave Canem Foundation, Inc. (www.cavecanempoets.org) was founded in 1996 by poets Toi Derricotte and Cornelius Eady to remedy the under-representation and isolation experienced by African American poets in writing workshops and MFA programs, Cave Canem is a home for the many voices of African American poetry and is committed to cultivating the artistic and professional growth of African American poets. Awards garnered by Cave Canem fellows include the Rona Jaffe Foundation Writers' Award; the Whiting Writers' Award; the NAACP Image Award; the Laughlin Award from the Academy of American Poets; National Poetry Series Selection; the Cave Canem Poetry Prize; and the Ruth Lilly Fellowship, among many others. Fellows have 170+ books in print across several genres and have gained significant footholds in academic positions across the country. Faculty member Elizabeth Alexander was named Inaugural Poet for President Obama in 2008; in faculty members Terrance Hayes and Nikky Finney won the National Book Award for Poetry in 2010 and 2011, respectively. 9) Canine Assisted Therapy (www.catdogs.org), or C.A.T., was formed to provide qualified, dependable and caring pet therapy teams to those who need comfort, companionship or the unconditional love of a dog. Specially trained teams support medical staff to promote healing. "We seek to provide superior education and support to volunteers and the facilities we serve. Our continuing education programs are open to volunteers of any pet therapy organization, for we wish to enhance the entire pet therapy community with our efforts. We provide guidance to healthcare and educational entities to implement or improve therapy animal programs within their facilities." C.A.T. services are provided free of charge, with the highest level of professionalism and organization, and we satisfy HIPAA requirements. As a non-profit entity, we recruit and utilize volunteers to serve Florida communities. C.A.T. pet therapy volunteer corps provide both animal-assisted activities (AAA) and animal-assisted therapy (AAT). 10) Center for Student Opportunity (www.csopportunity.org) is empowering underserved, first-generation college students to and through college by providing critical information, guidance, scholarships, and ongoing support. With offices in Bethesda, Maryland and Orange County, California, CSO's programs and resources reach nationally. They include Opportunity Scholars, supporting students across the country who aspire to be the first in their family to attend college through the college search and selection process; www.CSOCollegeCenter.org, a free online college search tool to research and connect with colleges and universities that serve and support under-served, first-generation college students; and COLLEGE ACCESS & OPPORTUNITY GUIDE, a unique college guidebook designed to help underserved, first-generation college students make their college dreams a reality. Scholarship students use our website as bloggers to diary their college experiences and offer advice to college-bound students on preparing for college. Since 1983, Neotrope (www.neotrope.com) has been helping small-to-medium businesses, non-profits, and entertainment companies establish their brand and grow revenue. 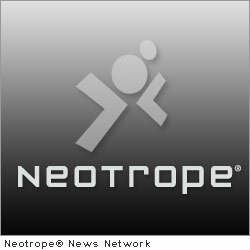 Neotrope was an Inc. 5000 listed company in 2009. The Neotrope(R) team is led by Christopher Laird Simmons, an award-winning designer, photographer, musician, journalist, and digital artist. He is a member of the Public Relations Society of America (PRSA), and ASCAP. Simmons has been widely interviewed in print and broadcast, and has written for numerous national print publications. Other team members include accredited public relations professionals, working journalists and SEO experts. Neotrope(R) is a registered trademark and service mark in the U.S. and Europe. Send2Press(R) is a U.S. registered trademark of Neotrope. All other trademarks acknowledged.